Is it time to get a new computer system? Just leave it in the box and give us a call. We will completely setup your new computer, including your printer. Just bought a new computer with Windows 8? We have a program to install that makes it much more user friendly & can make it look & work just like Windows XP or Windows 7. Check out our Windows 8 Page. "Lake Computer Repair" can transfer your old files, such as photos, emails, and email address book to your new computer. 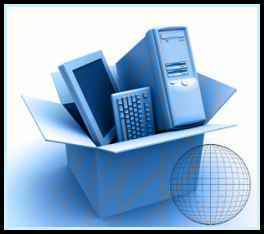 We also can transfer your settings such as your email accounts and internet settings to your new computer and will ensure that your security setting are optimized and your software is up to date. "Lake Computer Repair" can personalize your computer by adding photos to your desktop and provide tips and suggestions on how to make your computer experience more enjoyable.